Growing amounts of data from Industrial Internet of Things devices is placing increased strain on conventional network infrastructure. One way of dealing with this is to move computing resources closer to the edge, and Stratus Technologies is launching a new virtualized and self-protecting edge computing platform that’s specifically designed for industrial environments. Called ztC Edge, it's aimed at significantly reducing the IT burden for virtualized computing. 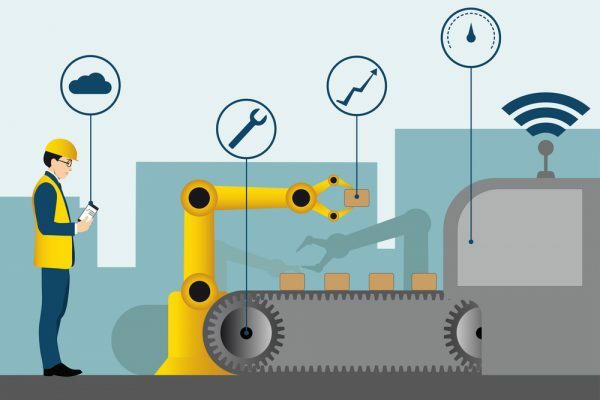 Its self-protecting and self-monitoring features help reduce unplanned downtime and ensure continued availability of business-critical industrial applications. ztC Edge is made up of multiple redundant nodes that act as a single system. It features live virtual machine migration, data replication, and redundant networking, providing protection for applications and data. The system continually monitors itself, evaluating its health and performance. If ztC Edge detects a potential CPU or memory failure in one node, it proactively moves VMs from one node to another ensuring application continuity. It uses a rugged form factor that's ideal for non-data center deployments and can be installed by the customer in less than an hour. An installation wizard and management utility makes it easy for operational technology staff to set up, configure and manage their virtual machines, requiring little or no resources from corporate IT. In addition, ztC Edge's virtualization host software can be updated dynamically, while the system is running, without requiring a reboot. "Our customers and partners are telling us that industrial organizations desperately want to reduce complexity at the plant level -- also known as the network's edge," says Dave Laurello, CEO of Stratus. "Process engineers and operational technology (OT) experts we work with are laser focused on the productivity and efficiency of their operations. They don't have the bandwidth to install and manage cumbersome enterprise computing technology retooled for these environments. OT wants a zero-touch product that is built from the ground-up for their environments, one they can easily install and rely on without fail. With ztC Edge, we're now delivering exactly what these customers want -- a self-contained system that protects important data, keeps applications up and running, offers predictive servicing and secure connectivity. And, we are delivering these results without the management and maintenance burden." You can find more about the solution on the Stratus website.